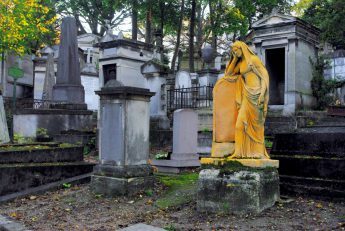 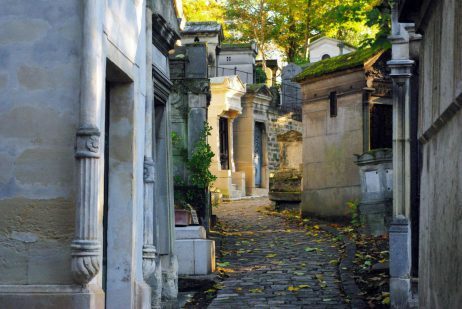 The Pere Lachaise Cemetery in the 20th arrondissement of Paris is the largest operating cemetery of the French capital. 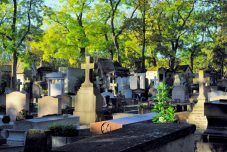 The landscaped funeral park is like an open-air museum as many graves have been listed as Historic Monuments. 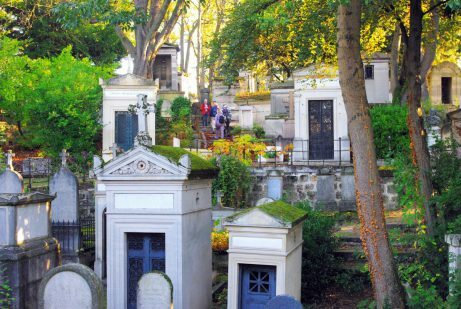 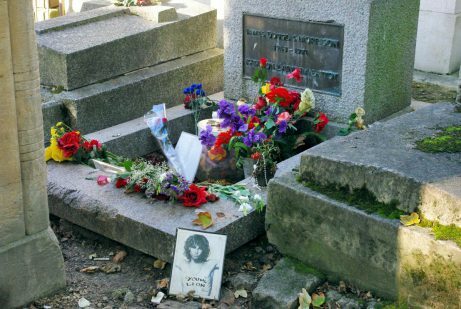 The Père Lachaise is the world’s most visited cemetery where visitors cross the graves of Jean de la Fontaine, Molière, Jim Morrison, Edith Piaf, Oscar Wilde, and Yves Montand. 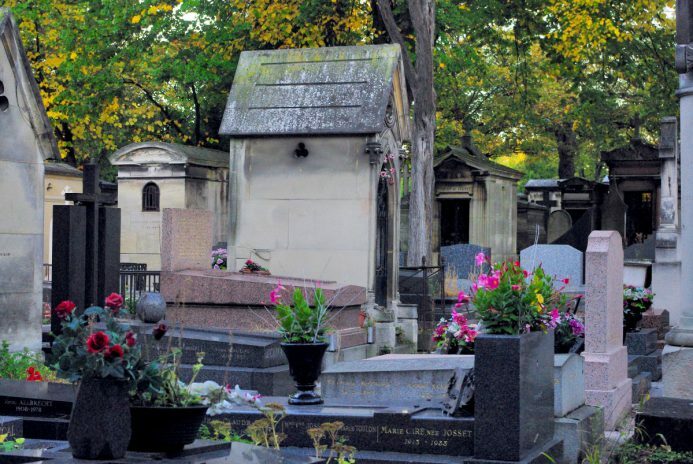 The Pere Lachaise Cemetery owes its name to Père François de la Chaise (1624-1709), the confessor of King Louis XIV who resided in the Jesuit building who stood on the site of the chapel. 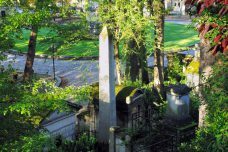 The cemetery as we know it today would laid out by Alexandre-Théodore Brongniart and opened in 1804. 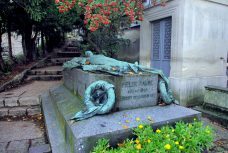 In 1804, the Père Lachaise contained only 13 graves and in order to attract more funeral, the administrators organised the transfer of the remains of Jean de la Fontaine and Molière the same year. 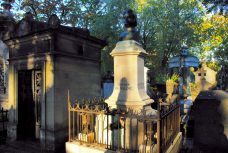 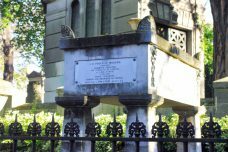 In 1817, the remains of Pierre Abélard and Héloïse d’Argenteuil were transferred to the Père Lachaise. 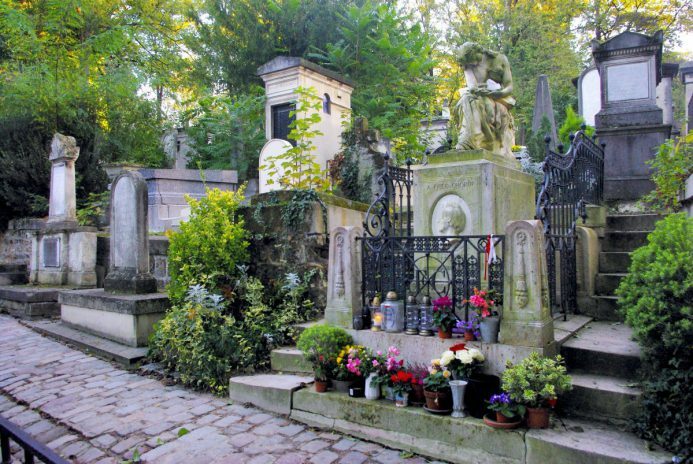 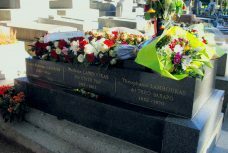 It became popular to plan his or her own burial among famous people of Paris. 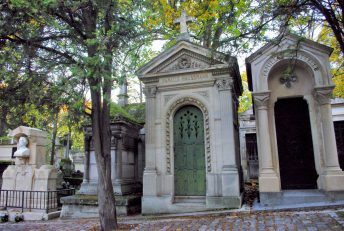 The funerary chapel was built in 1823 by Étienne-Hippolyte Godde who designed the monumental entrance on Boulevard de Ménilmontant a few years later. 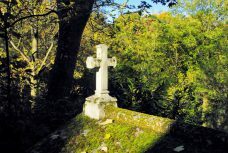 The Neo-Byzantine columbarium and crematorium were designed in 1894 by Jean-Camille Formigé to hold the remains of the Parisian who had requested cremation. 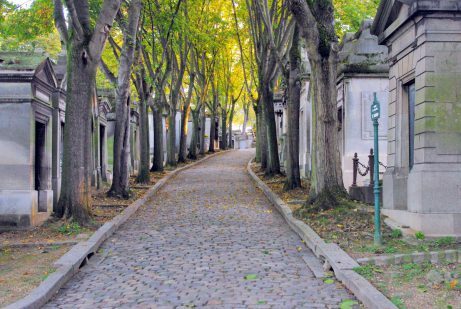 To the south-east of the cemetery, the Communards’ Wall (Mur des Fédérés) is part of the troubled history of Paris. 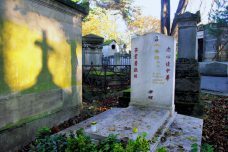 There, the last 147 insurgeants of the Paris Commune were shot on 28 May 1871. 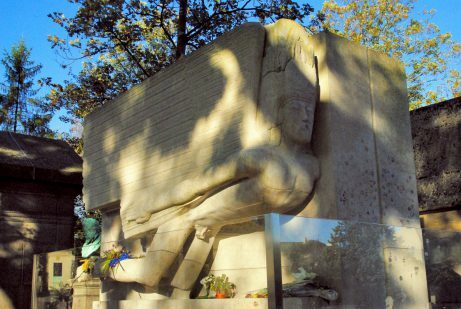 In the vicinity of the wall are a few memorials including monuments to concentration camp deportees and veterans. 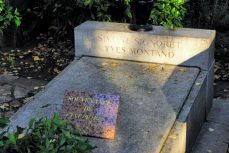 The Cimetière du Père-Lachaise has an area of 44 hectares, making it the largest garden of Paris (excluding the Bois de Vincennes and Bois de Boulogne). 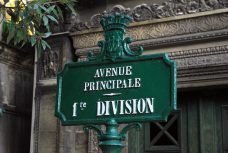 It stretches on a sloping ground and has 5 entrances with the main entrance being on Boulevard de Ménilmontant (near métro station Philippe Auguste [line 2]). 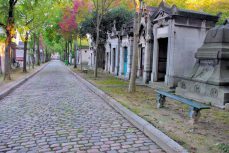 The Père Lachaise is one of Paris’ large cemeteries that have been laid out outside the precincts of the old town: Montmartre Cemetery in the north, Père Lachaise in the east, and Montparnasse Cemetery in the south. 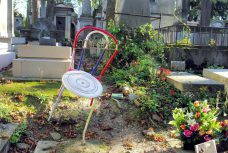 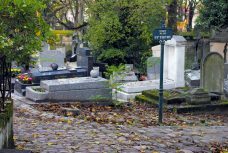 Another smaller cemetery was opened in Passy near the Trocadéro. 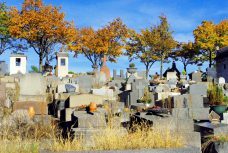 Today there are over 1 million bodies interred in the cemetery. 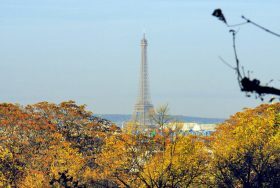 More than 4,130 trees contribute to a certain romantic atmosphere. 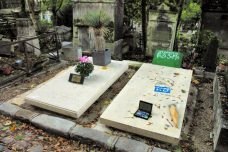 It is very difficult to be buried at the Père Lachaise which has strict rules about burials: only people who died in Paris or who had lived there may be buried there. 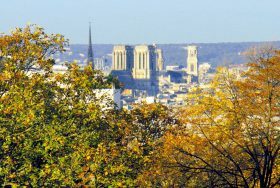 There is a fine view over Notre-Dame, the Panthéon, Montparnasse Tower and the Eiffel Tower from the terrace of the chapel. 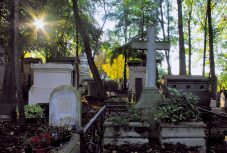 Download the English version of the Père Lachaise cemetery Map with the most searched-for burial places.